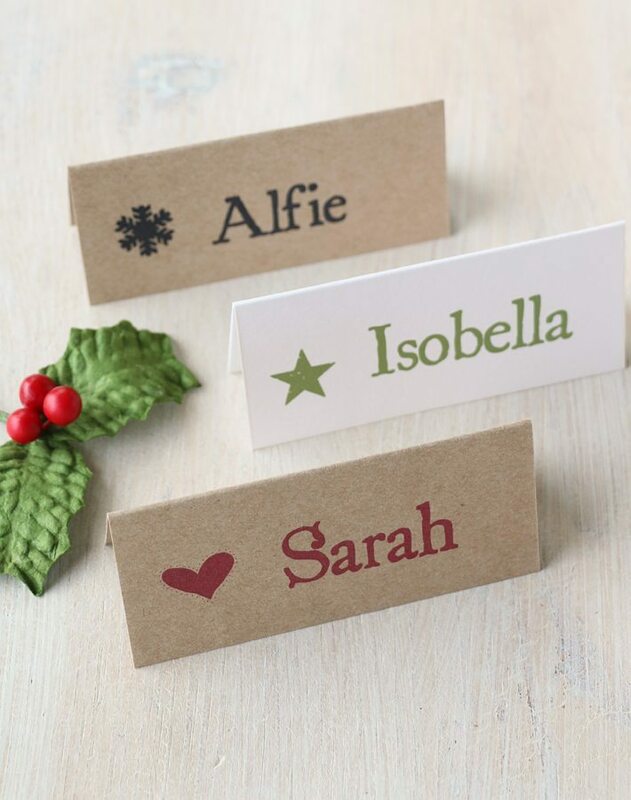 Personalised Christmas place cards in ivory or brown kraft card with a choice of colours and symbols. Cards measure approx 10 x 4.5cm. 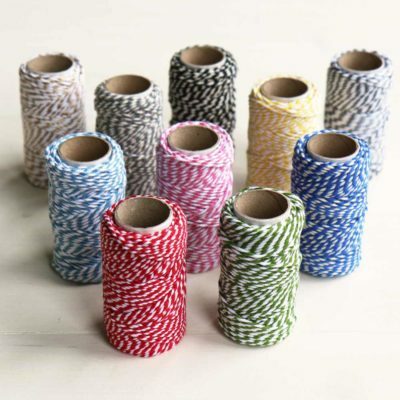 Lovely heavyweight, 100% recycled, eco-friendly card. 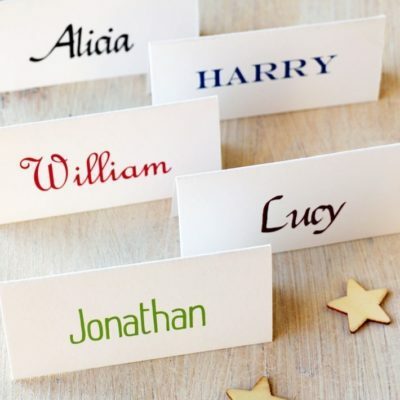 Christmas place cards personalised with names in ivory or brown kraft card with a choice of colours and symbols. 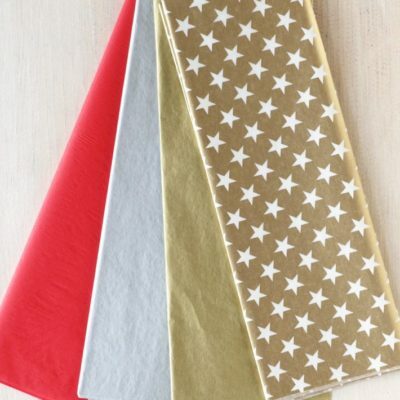 Perfect for Christmas dinners and parties. 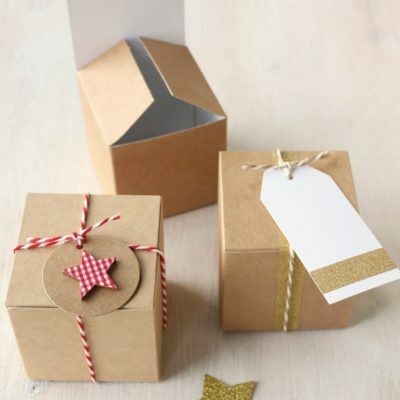 Please enter the names you require in the box or email a list to info@papertree.co.uk quoting your name and order number.